This cheese however, tastes like a wonderful vintage cheddar with a hint of sweetness to it and it goes so well with jam. In Sweden, cloudberry jam is the jam of choice. The berries itself are a rare berry found in the wild in Sweden. I had a goody bag filled with all the essentials for making a cheese board at home so I went right ahead and treated my sister and myself to this luxurious snack one evening. A friend had gifted me with these beautiful Vera Wang flutes for my wedding and I was dying to have an excuse to use them. 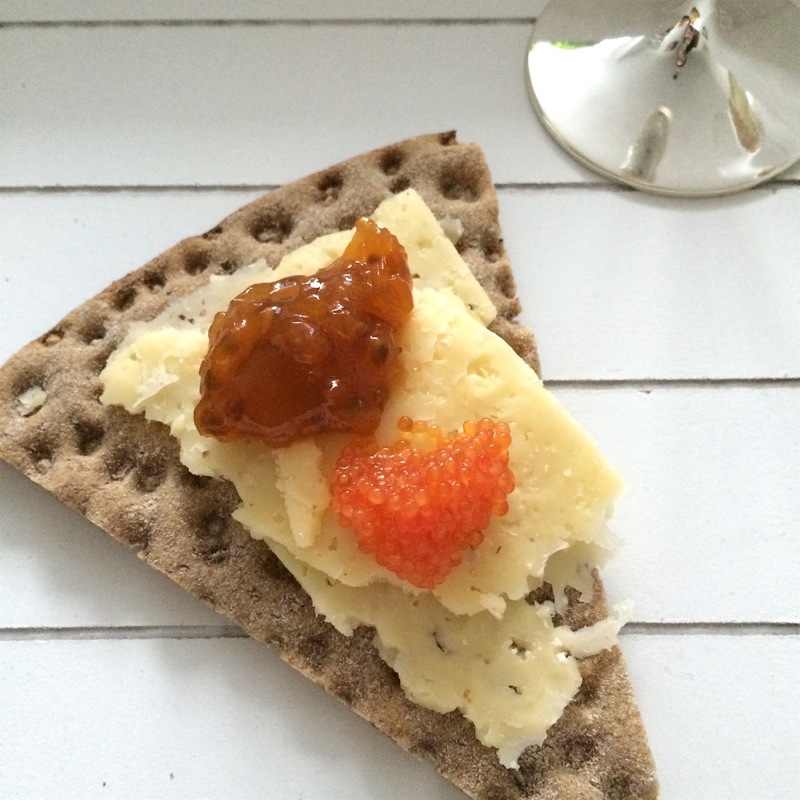 Champagne filled to the top, cheese, crackers, cloudberry jam and lumpfish roe on a slate platter and we were good to go. 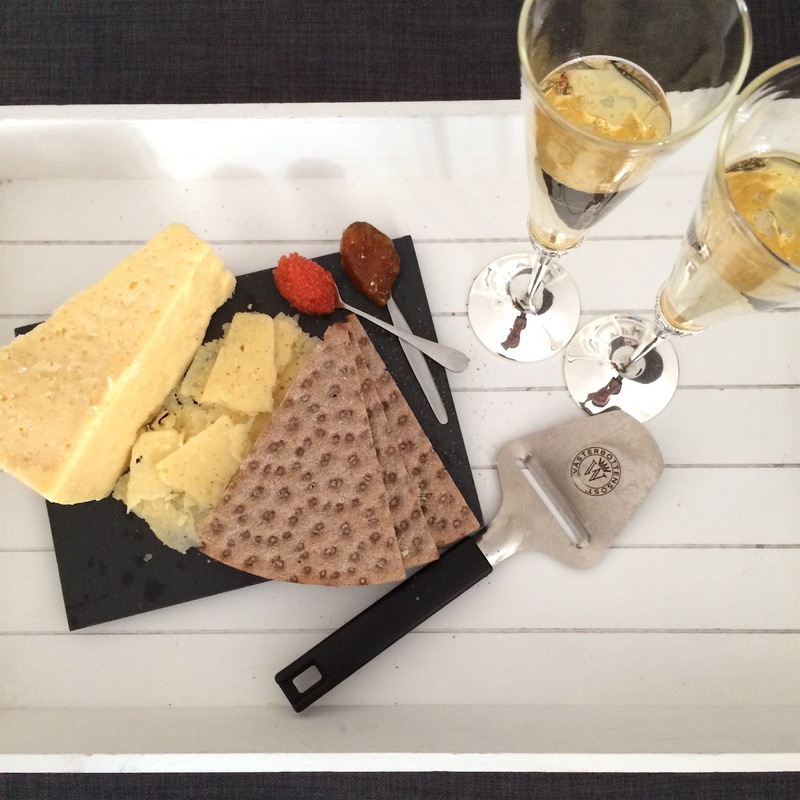 We enjoyed ourselves so much with this little bit of luxury at home, and have vowed to do it again. 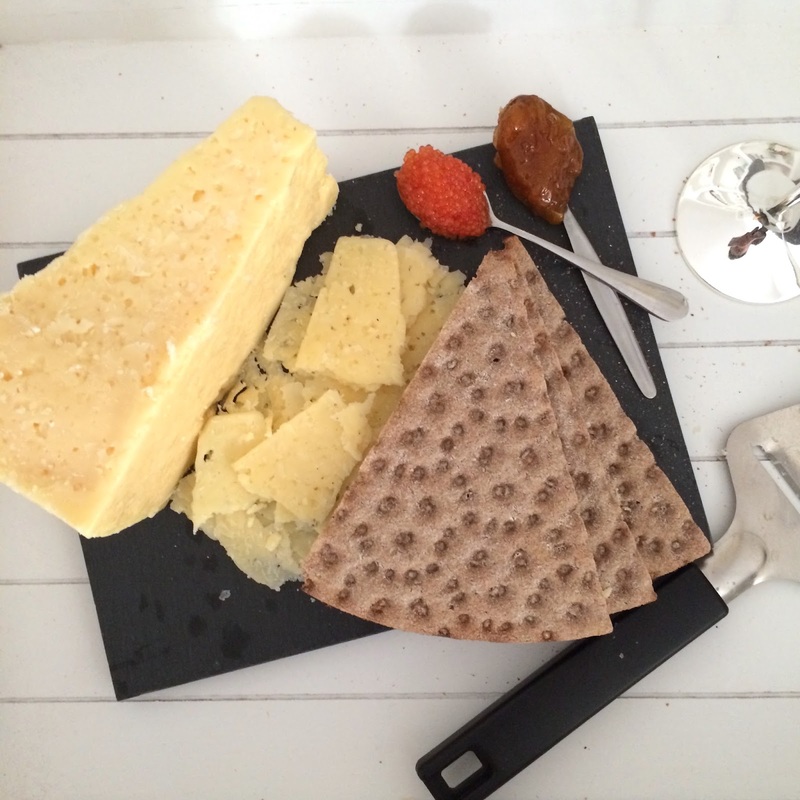 Vasterbottensost is available to buy through Ocado online currently if you're curious on just how delicious this cheese tastes. Cheese and crackers are one of those incredibly easy to put together snacks and are perfect for when unexpected guests pop over, and it's never a bad idea to keep some cheese and jam/chutney handy in the fridge. 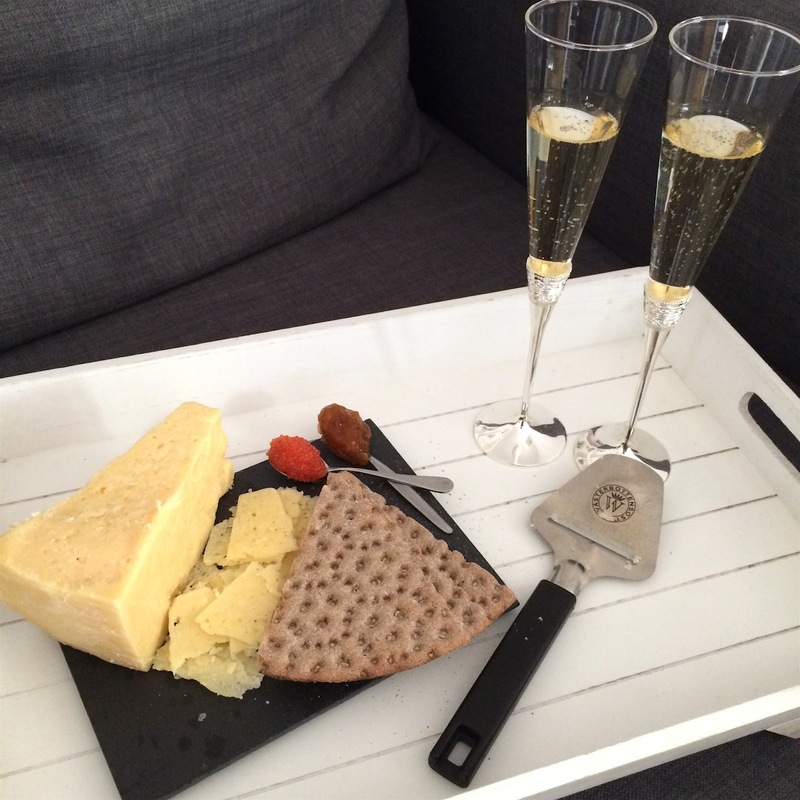 I hope you guys enjoyed this post on putting together a simple yet luxurious cheese and cracker board!